Well congratulations HP – and us 🙂 That’s a fantastic achievement all round and not to be sniffed at. A testament to the team that work behind the scenes, those that we’re more aware of across the site and the hubbers that continue to join and work with the sites principles – and publish top quality hubs. I wonder what the total daily earnings are fore those million hubs! whoah, 1 million hubs is pretty good going, I just wish I had reffered some of the more prolific writers! 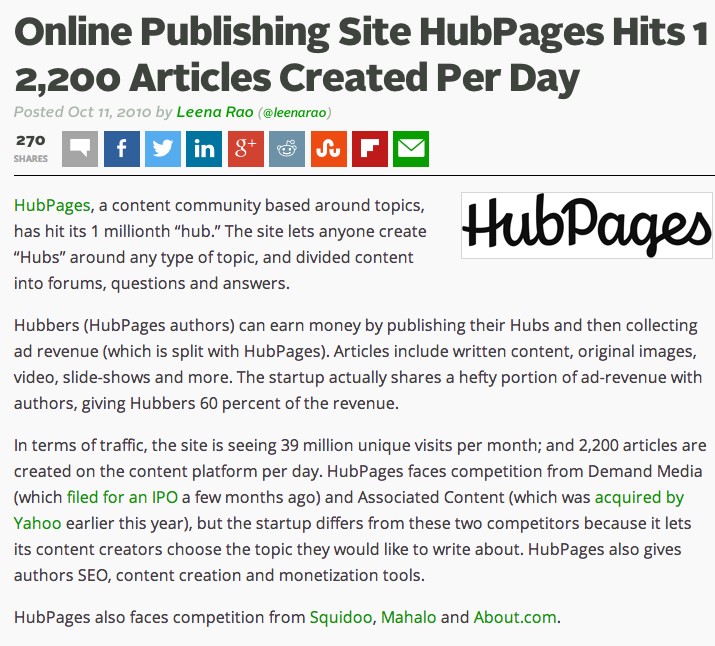 Congratulations HubPages Team! This is a great achievement and for consistently improving. Wow 1 million articles, that is a lot w on writings! I should have take a look on this Hubpages, and thinking of joining in. It should be a good idea to be part of something great. CONGRATULATIONS! Wow! That is a milestone. And what it means is that i contributed over 125 hubs towards this laudable achievement. Awesome! Now thats definitely a pretty big achievement.